Kimberley is a Senior Lecturer in the Teacher Education program. She designs, coordinates and teaches subjects across both undergraduate and postgraduate courses in primary and secondary initial teacher education, with a focus on primary Science and Technology, educational psychology, and research methods. Kimberley is the Coordinator for Engagement, including School Partnerships, within the School of Education. Kimberley received her PhD in 2010 from the University of Sydney. Her thesis, Towards a sociocultural theory of interest development (PDF, 4MB), focused on a research project that investigated processes involved in students’ development of interest in learning Science and Technology in an authentic classroom context. She received the Beth Southwell Award for an Outstanding Educational Thesis from the NSW Institute for Education Research (2011). Kimberley's research continues to focus on Science and Technology education and investigations into supporting students' interest in learning. Her projects seek to contribute to innovative teaching in schools and other contexts for learning, and her approach to education research is characterised by collaborations with practitioners. Kimberley has a growing number of publications in these areas and she has delivered related conference presentations within Australia and internationally. Kimberley began her career as a primary teacher and she has pre-school to year 7 teaching experience in the independent school system. She has worked as a classroom teacher and coordinator of gifted education. In 1997, Kimberley was awarded the Teachers' Guild of NSW Award for Excellence in the Early Years of Teaching. She has been actively involved in the delivery of professional development courses for inservice teachers for more than 20 years. She has been employed as an academic in a continuing position at UTS since 2004, after working as a casual academic and research assistant at both UTS and the University of Sydney. Kimberley is a supervisor for Higher Degree Research students. She currently is supervising students whose theses are focused on science education and student motivation and emotions, as well as professional teaching standards. Kimberley is involved in education programs at Youth Off The Streets (opens an external site) and received a UTS Human Rights Award in 2018 for her volunteer work. Youth Off The Streets is a youth-specific charity assisting young people dealing with issues of substance and other abuse, alienation from family and community and homelessness. Kimberley is currently a volunteer teacher at Key College in Redfern and a member of the national scholarship program selection committee. She formerly coordinated the YOTS' national alcohol and drug education program, GetReel. Kimberley works with a range of schools to provide professional development support for teachers. For example, in 2016 she worked with Shellharbour Anglican College P-12 staff to tailor a 2-day, school-based Professional Learning Conference focusing on curriculum differentiation. The interactive keynote and workshop sessions that she designed and delivered were NSW BOSTES-accredited. Youth Off The Streets schools' staff (2016), on designing and conducting classroom-based action research. International Grammar School Preschool to Year 12 languages staff (2014), focusing on pedagogical design and strategies for promoting student interest and engagement in learning. Burwood Public School (2012) using an action learning model, focusing on differentiation of classroom teaching and learning in mathematics. Preschool to Year 12 staff at Abbotsleigh (2011) with a focus on developing classroom-based learning communities. North Newtown Public School (2011) focusing on programming in primary Science and Technology. In 2003-2004, Kimberley was the academic partner in an action learning project at Villawood North Public School. The project focused on professional development activities to support teachers' practices in fostering students' engagement in science and technology. This project was part of the Australian Government Quality Teaching Programme. From 2009-2018, Kimberley was a volunteer organiser of the Community Learning Program at the International Grammar School in Sydney (opens an external site). This program incorporates free public lectures for parents, teachers and the wider community on contemporary education and parenting issues. In 2016-17, Kimberley was co-chair of the organising committee for the annual conference of the Australasian Science Education Research Association (ASERA), held at UTS from 27-30 June 2017. In 2018-2020, Kimberley is the academic collaborator in a Roseville College school-based research project, 'Valuing, measuring and tracking the development of learning dispositions in a K-12 School', funded by the Association of Independent Schools, NSW. In 2017-2019, Kimberley is working with UTS colleagues and teachers and teacher educators in Bhutan and Nepal, to collaboratively design projects that positively impact on the quality of science and mathematics education. The collaboration is funded through DFAT's Australia Awards Fellowship program. In 2018, Kimberley was a key member of a large research team conducting the Evaluation of Stage 2 of the K-2 Literacy and Numeracy Action Plan (NSW Department of Education funding in excess of $800, 000 2018-2020). 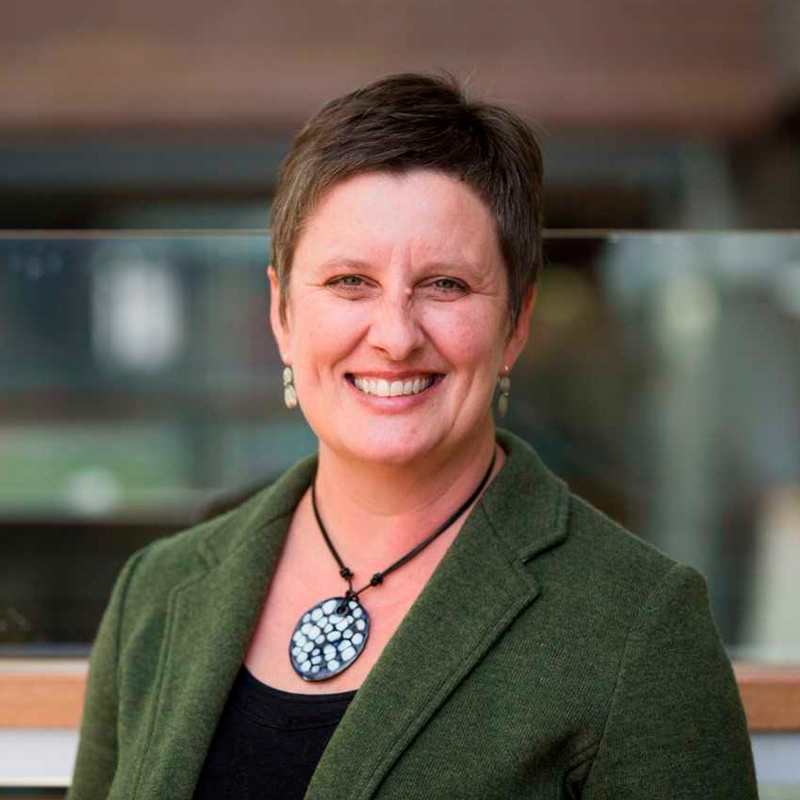 In 2016-2018, Kimberley was a chief investigator in two UTS teams which conducted research evaluations of two Australian Academy of Science education programs, Primary Connections and Science by Doing (approx. $200,000). In 2015-2016, Kimberley was a member of a UTS team awarded more than $200,000 in funding from the AISNSW to conduct a research project focused on Quality and Effectiveness in Primary Science and Technology. Kimberley was responsible for coordinating the six case studies of effective primary teachers' approaches to supporting students' science and technology learning. Reports related to this study can be found on the website of the AISNSW. developing guiding principles for teachers to support the development of children's interest in learning primary Science and Technology (2014). This project incorporated a design-based research approach in the classrooms of 3 primary teachers, and involved interviews, focus groups, classroom observations and document analysis. young people's motivations for (re-)engaging with school (2013). This was an interview-based project in the context of alternative, or 'second chance' schools. Data gathered were analysed and interpreted by drawing on key concepts from sociocultural theories of motivation. IMC Sky High! : Lifting up Aussie Kids (2012-2013) - a project of the UTS International Research Centre for Youth Futures (http://www.uts.edu.au/research-and-teaching/our-research/international-…). Kimberley's specific focus in the project was on volunteer teacher education students' roles in a program of events that takes middle-school students to out-of-school contexts for learning, to promote educational aspiration, engagement and well-being. Museums Actively Researching Visitor Experiences of Learning (MARVEL) research program - most recently, the focus was on adolescents' experiences of learning in museums (2008). Kimberley previously led the evaluation of the Kids' Design Challenge, a Science and Technology program for primary school students in NSW (2005-8), funded by the NSW Department of Education. Kimberley is a reviewer of manuscripts for academic journals, including the Asia-Pacific Journal of Teacher Education, Teaching and Teacher Education and Australian Educational Researcher. She has examined both Masters and Doctoral theses. Kimberley has a particular interest in designing preservice teacher education subjects that blur the traditional distinction between campus-based learning and professional experience placements. For example, she regularly involves her students in targeted, subject-specific professional learning experiences at nearby schools or other education sites, as embedded activities during a semester. Kimberley also engages school- and community-based practitioners as guest speakers on-campus in subjects that she coordinates. In 2016, Kimberley worked with UTS colleagues Dr Don Carter and Dr Tracey-Ann Palmer to develop a rich transdisciplinary, project-based task that was piloted across two elective subjects in teacher education. The task culminated in a student exhibition that engaged the public in exploring ideas related to the concept of Change. Kimberley and her colleagues received a UTS FASS Teaching and Learning Award (2016) in recognition of this teaching innovation. In another teaching and learning project, Kimberley initiated a collaboration with North Newtown Public School (2012-14) in the subject Learning in Science and Technology 2 in the Primary Education program. UTS students worked with staff and children at North Newtown PS to implement a 'Design and Make' day at the school. Videoconferences between UTS students and school-based teachers and children contributed to UTS students creating workshops for children that related to the science and technology topics that they were learning about at school that term. UTS student teachers undertook research to develop their own conceptual understandings, then taught the workshops, and subsequently evaluated the success of their teaching. A pedagogical innovation was collaboratively designed, implemented and evaluated in the context of a school-university partnership. The innovation had a dual purpose: 1) to provide an opportunity for primary pre-service teachers to develop their understanding and experience of teaching 'design and produce' processes (working technologically), and 2) to involve primary students in a highly engaging, meaningful learning experience with high visibility in the school's community. We decided that this could best take the form of an annual whole school 'Design and Make Day' (DM Day). In this paper, we describe the context of the DM Day, spotlight three tasks, and share the key findings from the project evaluation. Engaging in a self-study is a multi-faceted activity that involves not only autobiography and theory, but also students and colleagues. Learning from and with colleagues can take many forms. This article discusses the authors' experience with reciprocal classroom observation in a teacher education context. Peer observation supported our learning about our own teaching by providing suggestions for change and mutual reassurance. In this study we make connections between learning from each other, ourselves, our students and theories of teaching and learning. Specifically, we address what we learned about pedagogy in relation to missed opportunities, teacher-directedness and articulating purpose; about curriculum, in relation to balance and standards; about our students, in relation to their backgrounds as well as social tensions; and about ourselves as teachers and learners in relation to rapport, role modeling and collegiality. We demonstrate how peer observation can be a valuable component of ongoing professional development for tertiary teachers. Until recently, motivation has been considered to be an individual phenomenon. Motivational theorists have accordingly conceptualised key constructs in individualistic terms and emphasised the individual origins and nature of motivation, although they have also long recognised that contextual or social factors have a significant influence on these individual processes. Recently this conceptualisation has been questioned as theorists have suggested, after Vygotsky, that motivation, like learning and thinking, Illight be social in nature. This idea was first suggested by Sivan (1986) more than twenty years ago but it received a major impetus with the pnblication of an article by Hickey (1997) eleven years later. Since that time interest in the social nature of motivation has grown as a small number of book chapters and journal articles have been published and conference papers have been presented on the topic. This paper reports on outcomes from a study that explored how connected learning spaces, mediated by videoconference technology, enabled real-world engagement in pre-service teacher education. Student teachers in drama and science education participated in the study, which involved varied connections with school children and their classroom teachers. Key themes that emerged were underpinned by a consideration of authentic learning: student teachers' observations of teacher practices; enactment of multiple roles; and exposure to diverse and timely feedback. Implications for the design of discipline specific on-campus activities are considered in relation to how they inform effective integration of videoconference technology for real-world, professional engagement in teacher education. An emerging body of literature explores the benefits of prospective science teachers creating and sharing digital video in their professional learning activities. A common theme is the facilitation of reflection on experience and a range of other potential professional teaming benefits. This paper takes a snapshot of current developments with teacher-generated digital video tasks in teacher education with a focus on pre-service science teachers' technological pedagogical content knowledge (TPACK) development. The paper draws on preliminary analysis of data from one of the 39 teacher preparation institutions participating in The Teaching Teachers for the Future (TTF) project, funded by the Australian Government. Ng, W, Aubusson, P, Fergusson, J, Pressick-Kilborn, K & Palmer, T-A UTS 2018, SCIENCE BY DOING STAGE 4 (2016 TO 2018), pp. 1-118, Sydney, Australia. Burke, P, Aubusson, P, Schuck, SR, Palmer, T, Pressick-Kilborn, K & Ng, W Association of Independent Schools 2017, Barriers to the effective teaching of primary science and technology.. Valuing, measuring and tracking the development of learning dispositions within a K-12 School.